There is a thunderstorm lurking somewhere on the horizon but my grandson and I are itching to get going on the first adventure day of the week's activities. 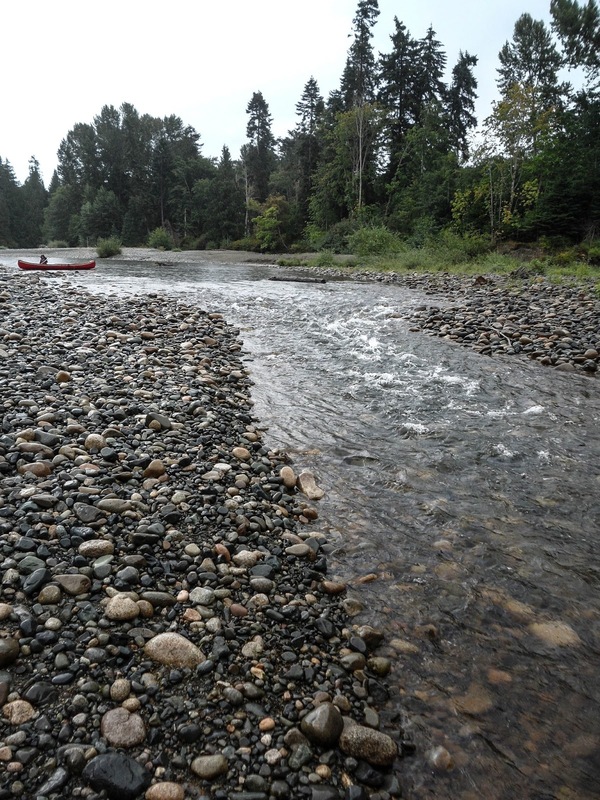 We drive through light rain to the Englishman River and slide the Chestnut canoe down the bank into shallow water. Six year old Adam slithers after it, puts one foot inside and the canoe slips sideways from under him. He corrects just in time and soon we are off down the shallow summer-time river. The rain comes down in torrents. Soon we come to the first rocky set of rapids, land to check them out and decide to lead the empty canoe down the edge. Adam takes the stern line and together we drag it through to calmer water. Almost immediately we come upon another chute and after scouting this one I decide that we can shoot it. We gather speed and rush downhill only to get hung up on shallows at the bottom. 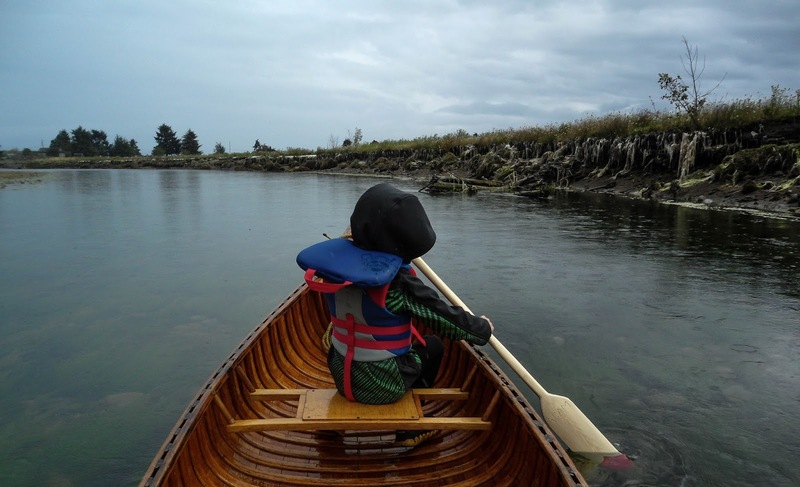 My elderly wood and canvas canoe creaks, leans to one side and Adam says anxiously ”Are we going to sink Granddaddy?” But no, I calmly step into the water, slide us into deeper water and we are off again, steering through narrow passages between rocks and soon we are into the calmer waters of the estuary. Adam strokes away up in the bow with his new paddle that I have carved to fit him and we enter the strange world of high gravel bars that we wend our way through, still sliding down hill on a low and falling tide. 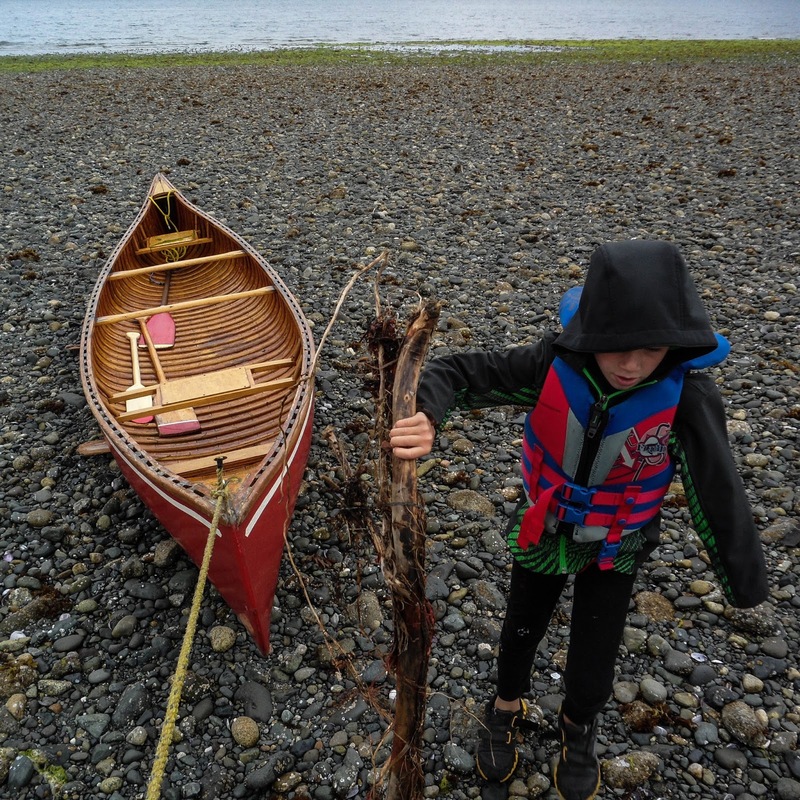 Then the sea, some small breaking waves we bounce through around the point and finally we work together to haul the canoe on pieces of driftwood to the high tide line near a taking out place. The storm had drifted off to sea, things are brightening up and it is now time to walk back along trail to get the car left at the dropping off place. We find wild blackberry vines and stop several times to gorge ourselves, learn to discriminate dark red from really ripe by taste test, and eventually the car is there ahead and we drive back to the beach. 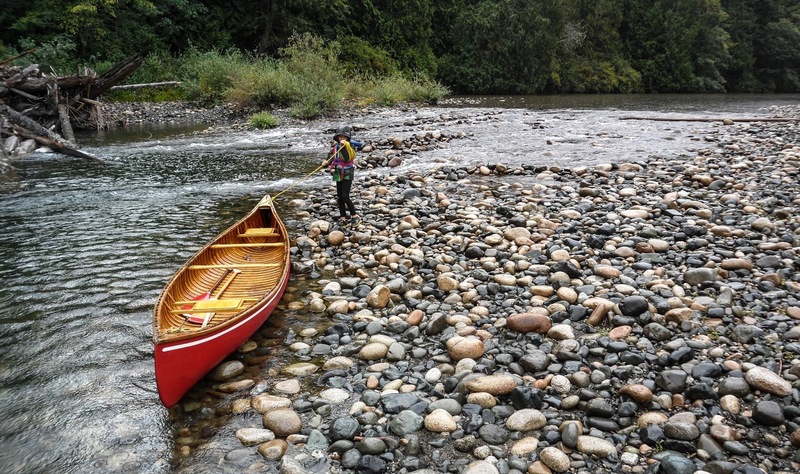 We load the canoe first and then eat our lunch companionably like intrepid voyageurs. 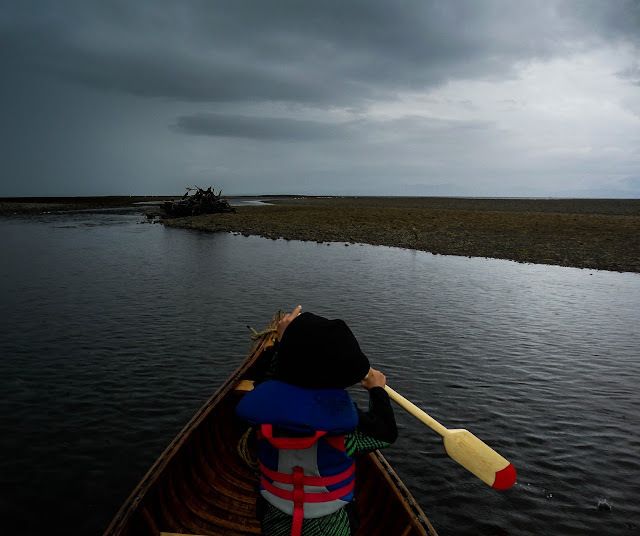 Our short journey was exciting but nearly all of it was in shallow water - an adventure cut to size for a small boy and an elderly canoe.